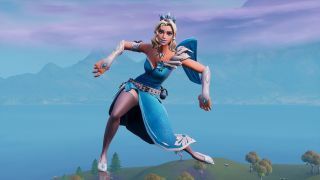 Several Fortnite lawsuits have been dropped, but seemingly only temporarily. The law firm representing 2 Milly, Backpack Kid and Orange Shirt Kid, among others, announced that their clients were dismissing their current lawsuits, but only so they can refile them. A U.S. Supreme Court decision has changed how people can file copyright lawsuits. Previously, they could be filed as soon as a copyright application had been registered, but now there's a delay while the Copyright Office considers the application. "Our Fortnite and NBA 2K cases were filed under the previous standard, with our applications pending before the Copyright Office at the time we filed our lawsuits," reads the statement. "In fact, while artists like Backpack Kid and Orange Shirt Kid created their signature dances before filing suit, they only received copyright registrations afterwards. To best conform with the law as it stands in light of the Supreme Court decision, our clients will dismiss their current lawsuits and refile them." While the statement mentions Backpack Kid and Orange Shirt Kid's successful copyright registrations, fellow plaintiff Alfonso Ribeiro's was rejected on the grounds that it was a "simple dance routine" rather than a choreographed work. Two former basketball players are also suing Epic over the Running Man emote, though they're being represented by a different law firm.